DORIS JACOBS. THE NAME TO KNOW. 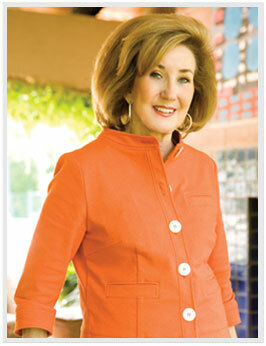 Doris Jacobs is the only name to know in Dallas real estate. As one of Dallas’ leading Realtors for more than 30 years, Doris Jacobs is known for superior market knowledge, quality service and professionalism. Whether you’re a first-time buyer or listing a landmark estate, let Doris put her expertise to work for you – because no one knows Dallas like Doris. Whether you’re a homebuyer, seller or Texas relocation client, you need a Dallas Realtor with knowledge and experience. A Certified Residential Specialist, Doris Jacobs represents some of the most distinctive addresses in the premier Dallas neighborhoods of the Park Cities, including Highland Park and University Park, Preston Hollow, Bluffview, Devonshire, Greenway Parks, Turtle Creek, Uptown, the Dallas Arts District, M Streets, Lakewood and North Dallas. Through years of residential real estate transactions and consistent success as one of the highest top producing Dallas Realtors, Doris Jacobs’ extensive experience offers value where it counts – helping you maximize your home investment. Read the December 14th Allmanac for the latest news in Dallas real estate! Read the December 7th Allmanac for the latest news in Dallas real estate!